Britain's online anti-feminist movement is providing a gateway into other areas of extremism, including the alt-right and far-right, according to intelligence gathering by anti-racism charity Hope not Hate. The organisation has warned that the so-called manosphere - made up of websites, forums, blogs and vlogs around various strands of the anti-feminist movement - has been "integral to the growth of the alt-right", attracting a "younger contingent" of men in their teens to early 20s. The manosphere was examined as part of the charity's annual 'State of Hate' report, released on Monday. The research identified various sects of anti-feminist online thought, including men's rights activists, men 'going their own way', pick-up artists and the violence-linked involuntary celibate (incel) movement. Speaking to JOE, Hope not Hate researcher Simon Murdoch, said: "There have been documented cases of people who have left that world saying ‘that was my route in’. "It’s not going to be the route in for everyone, other people will come into alt-right or far-right politics through different routes, but it has served as a route for some people." He added: "But even people in the manosphere who say they reject these other extreme areas of politics - even if they have extreme views on women and gender - see themselves as victims of political correctness in the same way as people in the alt-right see themselves." Research into the manosphere by the charity found that the UK is second in the world only to the USA for traffic to a number of high profile misogynistic websites. The intersection of extreme gender and race politics can be seen in the politics of alt-right figureheads such as Paul Joseph Watson. Despite claiming not to be far-right, the vlogger has made anti-feminism a key part of his messages, distributed to hundreds of thousands of followers via his social media platforms. "More than ever there's an opportunity for people to come into contact with this stuff online," Murdoch said. "People can come across fringes of this stuff in the YouTube community, for example, or if they're already interested in broader more mainstream far-right stuff like Joseph Watson they might start to come into it through that. "But the real dedicated forums and websites that consciously are part of the manosphere are still very niche. Like most extreme politics you have to have been interested in following these communities for a while." 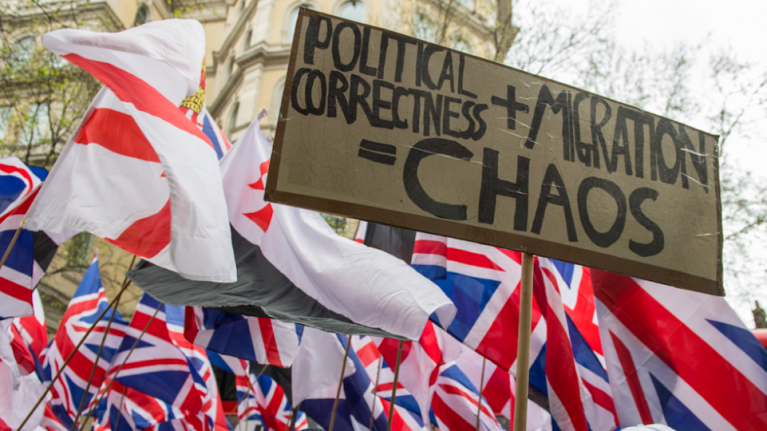 The research comes as part of a wider look into extremism in the UK. The Hope not Hate report found that the extreme far-right is becoming younger, with an increasing threat level from far-right 'lone actor' terrorism. Five of the world’s top 10 far-right activists, in terms of social media reach, were also found to be British.